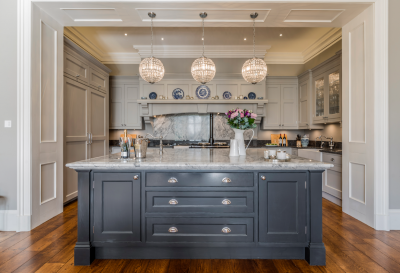 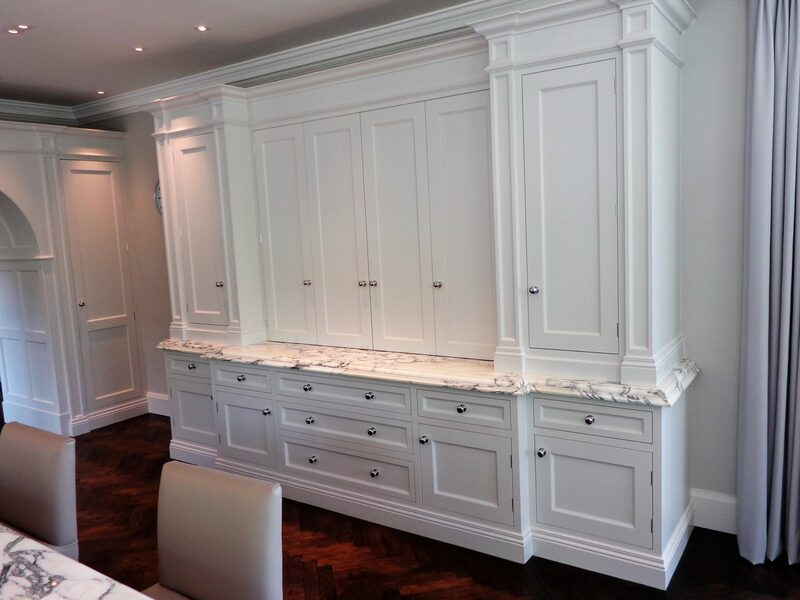 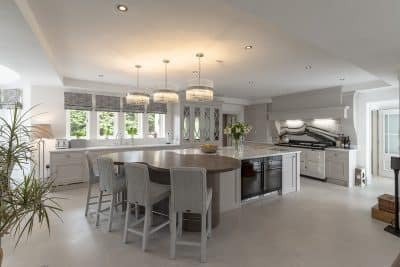 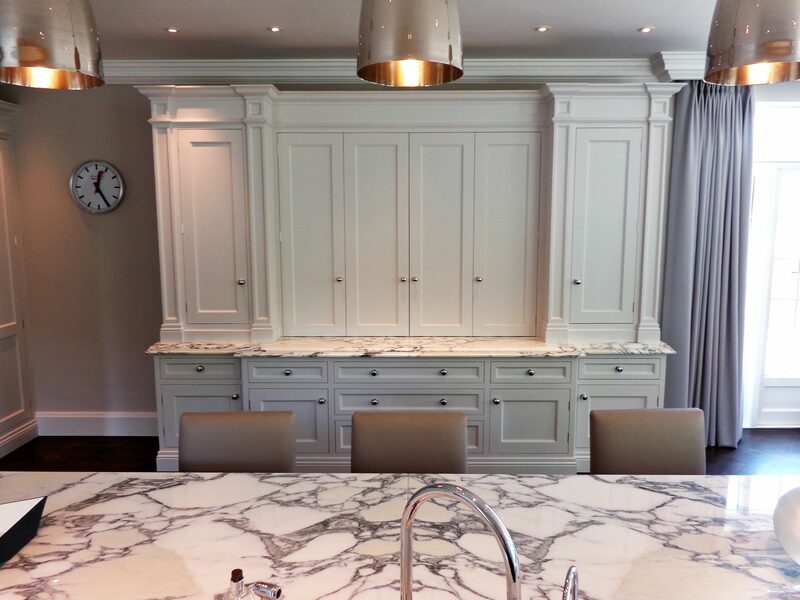 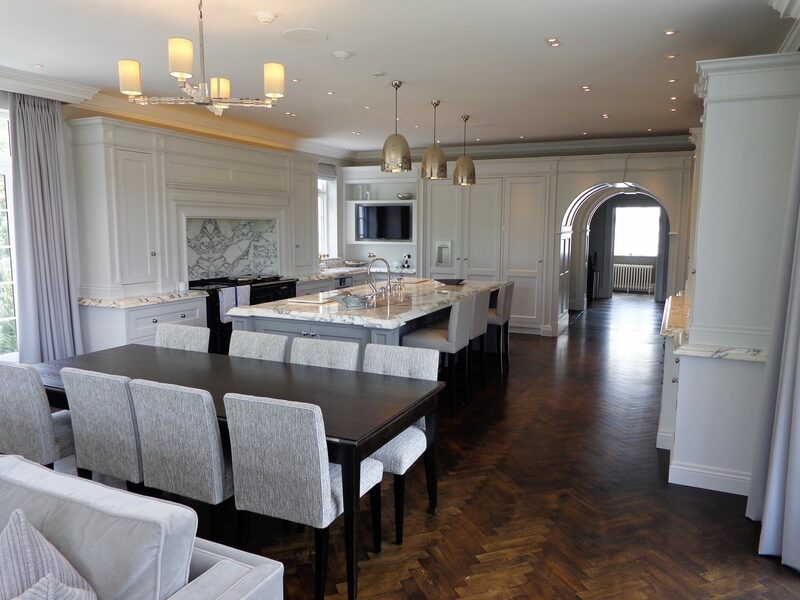 Luxury hand painted bespoke kitchen with ornate cornice with seamless transition flowing into the architectural joinery. 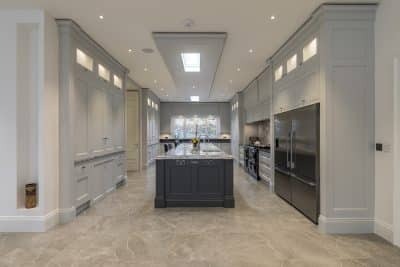 Impressive pantry with stained oak veneered interiors. 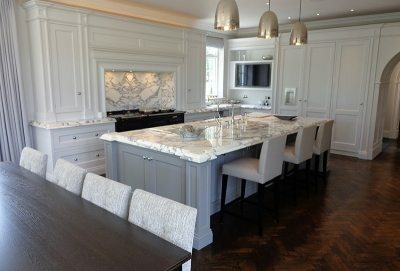 Stunning mirror matched marble work surfaces and splash back.